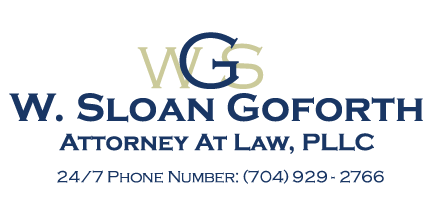 For all of your family law and equitable distribution needs, concerns, and questions in Statesville, NC, W. Sloan Goforth, Attorney at Law, has the skills and years of experience to help you. Equitable distribution is a principle applied to the proceedings of a divorce. In other places, this can be known as the division of property. This process allows a judge to supervise the division of property rights and obligations between spouses. Depending on the parties involved, this may be rather simple, or it might entail significant work for you and your soon-to-be-former spouse and your respective legal representatives if there’s a disagreement. The idea of equitable distribution of property is that the division be fair, but not necessarily equal. The financial situation of the individuals post-divorce. Significantly different incomes or prospective incomes of each party are a major factor in an equitable distribution arrangement. The length of the marriage to be ended. The standard of living enjoyed by the couple when still together. The parent with principal custody of the children and the need for that parent to remain in the family home. Contributions made to the acquisition of any marital property, or property owned by you and your spouse. Any other contributing factors you consider relevant. For all of your family law and equitable distribution needs, concerns, and questions, W. Sloan Goforth, Attorney at Law has the skills and years of experience to help you, no matter what your particular situation might be. If you live in or around Statesville, NC, please contact our legal team for assistance.